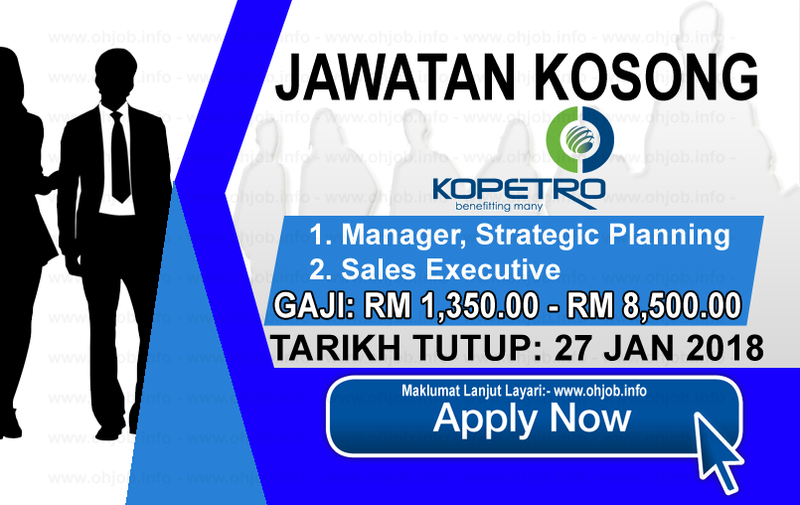 As we expand and grow our business, we constantly seek talented and committed individuals who are prepared to grow and chart their careers with KOPETRO. If you have what it takes to be a KOPETRO staff, to bring KOPETRO to greater heights, we want to hear from you. Terima Kasih Kerana Membaca Dan Menyemak Jawatan Kosong Koperasi Kakitangan PETRONAS Berhad - KOPETRO (27 Januari 2018) Selamat Memohon Dan Semoga Berjaya Kami Ucapkan, Sila LIKE Facebook Page Kami Dan Kongsikan Kepada Semua.